Flat Oboe Reeds Are Instant Death! 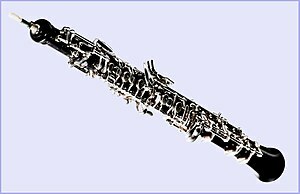 Probably the worst thing that you can do when playing the oboe is play on flat oboe reeds. This is one of the most common reed problems and it can be a bit tricky to fix. Here are some things that you might want to try out and see if they help you. After you get the basic construction of the reed in place, for example the back of the tip and the back, clip the reed to one millimeter longer than your planned final length. For example, it your finished reed length is 70 millimeters, then clip it right away to 71 millimeters. After it is clipped, let the reed dry out completely before working on it again. When you come back to it, it will be very resistant, but take your time and work on the tip first to get some vibration back into it. You will probably have to scrape the back and the heart a bit. Do not make drastic differences between the thickness of the parts of the reed. What you will find is that the reed will hold it’s pitch better. 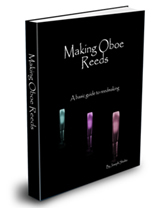 There are more things that you can do to fix flat oboe reeds, and I will talk about them in another post.